Summertime! It's time to show off ankles and feet! Sandals, coloured toenails and... anklets! 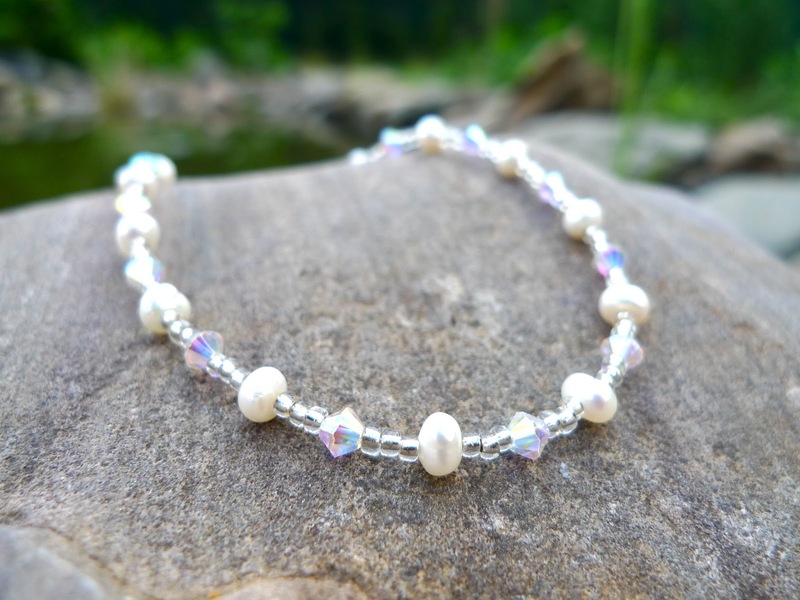 Pearls, Swarovski crystals, seedbeads and 925 Sterling Silver. Hello, I have heard that you should make some of the most beautiful jewelry, show some photos, greeting Ovo.